We’ve all had those stressful work days that demand a stiff drink or three before calling it a night. Those days are even worse when that much-needed nightcap tries to elude us. While Donald Trump was creating mass hysteria ordering his steak well done at a New Hampshire steakhouse, his opponent Mark Rubio was elsewhere in town, being carded when he tried to order a drink. A book critic for New York Magazine, who was also in town during the New Hampshire primary, spoke with a waitress who had just served Rubio, and thought he looked like he may be too young to drink, so she carded him. In yet another blow, the waitress apparently had no idea who Rubio was – never a good sign when someone is in a relatively small town all week, campaigning to be leader of the free world. The 44-year-old has been having a rough run of it so far, especially in New Hampshire, but it seems not to be aging him yet. 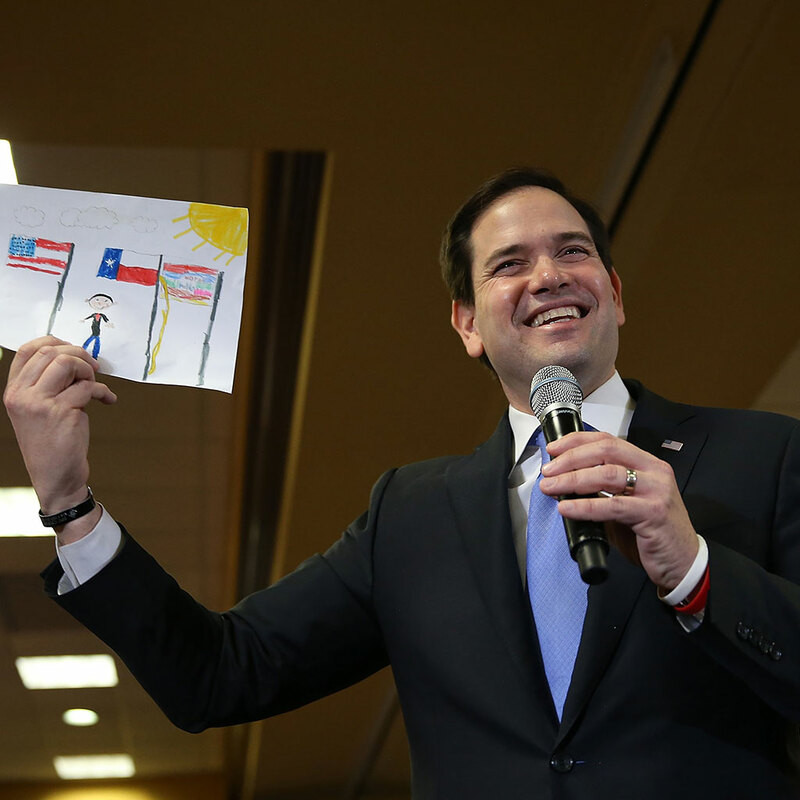 Enjoy the silver linings, Rubio.